Suspense, horror, and surreal worlds dominated the 17th Annual D.I.C.E. Awards, the video game industry’s most prestigious honors. Naughty Dog’s dystopian, post-apocalyptic reimagining of the zombie thriller, The Last Of Us, stole the show with 10 awards, including Outstanding Achievement in Story, Outstanding Innovation in Gaming, Adventure Game of the Year, Outstanding Achievement in Game Direction and the industry’s top honor, Game of the Year. The evening’s other big winners included Irrational Games’ provocative alternate-historical FPS, Bioshock Infinite, which took home Action Game of the Year and Outstanding Achievement in Original Music Composition. PopCap’s runaway mobile hit Plants vs. Zombies 2 won both Casual Game of the Year and Mobile Game of the Year, while EA Canada’s FIFA 14 continued the FIFA franchise’s run of five consecutive wins with Sports Game of the Year. Brothers – A Tale of Two Sons, Starbreeze Studios’ touching, story-driven adventure, took home the hardware for Downloadable Game of the Year. Wargaming’s multiplayer online game World of Tanks took home the honor for the D.I.C.E. Awards’ newest category, Online Game of the Year. Hosted by actress, producer and gamer Felicia Day, with fellow gamer and filmmaker, Freddie Wong, the awards were revealed in front of industry professionals at The Joint at the Hard Rock Hotel & Casino, Las Vegas and broadcast online via Twitch.tv. The show was the culmination of the annual two-day D.I.C.E. (Design, Innovate, Communicate, Entertain) Summit (#DICE2014), drawing some of the brightest and most influential interactive entertainment industry leaders, decision makers and visionaries. 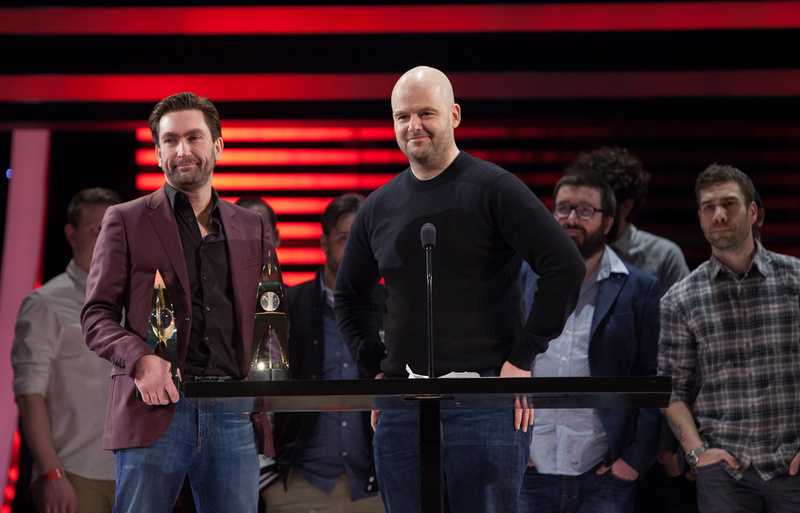 During the ceremony, Rockstar Games’ Leslie Benzies, Dan Houser and Sam Houser were inducted as the 18th, 19th and 20th members of the AIAS Hall of Fame. Rockstar Games achieved worldwide recognition for its blockbuster Grand Theft Auto series and open-world epics such as Red Dead Redemption and Bully. Their latest blockbuster, Grand Theft Auto V, garnered this year’s accolade for Outstanding Achievement in Game Play Engineering. 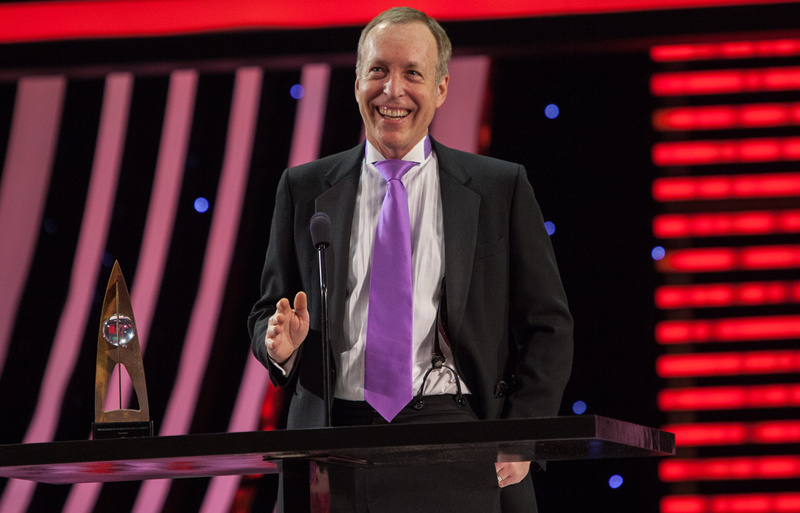 The AIAS also honored game industry trailblazer Eugene Jarvis as its sixth Pioneer Award recipient. Jarvis is known as a key player from the golden age of arcade games, who was instrumental in establishing the interactive industry with such seminal games as Defender, Robotron: 2084 Narc, and Smash TV. Since 1996, the D.I.C.E. Awards have recognized outstanding games, individuals and development teams that push the boundaries of technology, creativity and artistic expression in the worldwide interactive entertainment industry. Titles were played and evaluated by members of the Academy’s Peer Panels. The panels are comprised of the game industry’s most experienced and talented men and women. Each panel is responsible for evaluating one award category. D.I.C.E. Awards recipients are determined by a vote of qualified Academy and IGDA members. Award voting is confidential, conducted online and supervised and certified by VoteNet Solutions, Inc. The integrity of the system, coupled with a broad-based voting population of AIAS members, makes the D.I.C.E. Awards the most credible, respected and recognized awards for interactive entertainment software. The show was produced by the AIAS in conjunction with media partner PMC/Variety. Highlights of the Awards Show will be available on Variety’s YouTube channel. Click here to view the entire list of nominees and winners.